Today's lesson, number 78 in A Course In Miracles, is "Let miracles replace all grievances." Grievances, resentments, recrimination, blame, revenge, attack run our lives from morning to night and even in our dreams as we sleep. 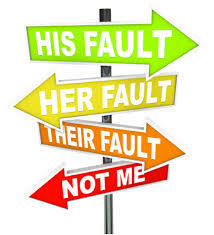 If we are not blaming and attacking others we turn on ourselves with self criticism, self judgment, perfectionistic anxiety, and depression. This world of hate, and self hate, is full of drama and games that people seem to not be able to help playing. If you lack for blame, guilt, and fear just turn to your news feeds. Bad news floods the minds of ourselves and our neighbors. The news constantly offers us suggestions of who to fear and hate at any moment of the day if we can't think of enough targets ourselves. What would it take to change all this "stinking thinking?" It would be a miracle. What is a miracle? The miracle is a decision, a choice, to, as the Course tells us, "choose again." At some point, it dawns on us that there is a better way. We don't have to live in hate, resentment, blame, attack, guilt, and fear. The Universalists have taught since the late 1700s in the U.S. that there is Unconditional Love in the Universe. The Universalists have taught that this Unconditional Love is our natural inheritance. The Universalists have taught that in order to become aware of our true nature we just need to set our grievances aside, undo them. In our contemporary age in Unitarian Universalism, we have a living tradition which offers us the opportunity to covenant together to affirm and promote seven basic principles which are based on miracle thinking. The second principle asks us to affirm and promote justice, equity, and compassion in our human relations. In other words, the second prinicple asks us to give up our grievances and work a miracle. This miracle occurs in our mind and hearts and has nothing to do with the supernatural manipulation of phenomena. The miracle changes our awareness to bring peace and joy and Uncondtional Love into the world. Trading miracles for grievances not only helps people become aware of their holiness, it sanctifies the world and brings it closer to salavation which is when everybody loves everybody all the time. Today, catch yourself when you become aware of annoyance, irritation, resentment, blame, vengefulness and simply ask yourself "What kind of an experience do I want, and what kind of a world do I want to create?" Then, let miracles replace grievances.